The Murphy Institute for Worker Education & Labor Studies, CUNY, is bringing together academics, labor leaders, activists, students, and policy makers to pose crucial questions concerning the criminal justice system and the labor movement’s place and responsibility within it. 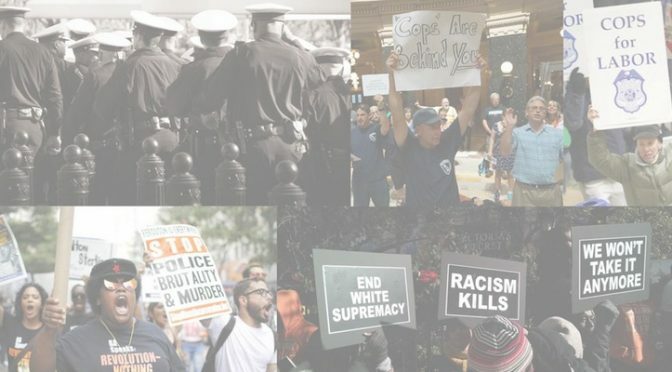 Our two-day conference, Confronting the Tragedy: Law Enforcement, Unionism, and Communities of Color, is the culmination of a conversation we began last fall at a forum of the same name (videos here). These events are designed to examine the complex and interlocking dynamics of race, class, law enforcement and unionism, and thus to support the work of social justice activists, trade unionists, and policy makers to create a more just system of law enforcement. For list of speakers or to register, click here. Is this the Bad Kind of Unionism? 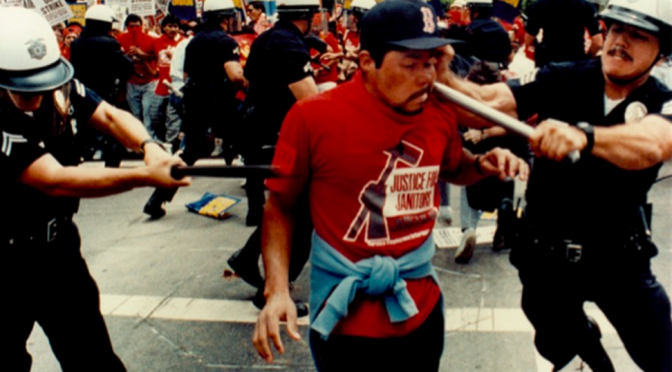 This article was originally featured in Jacobin and represents one of many perspectives on the question of police and unions. On Friday, October 21st, 2016, the Murphy Institute hosted Black, Brown and Blue, a conversation bringing together academics, activists, students, and practitioners to pose crucial questions concerning the criminal justice system and the labor movements’ place and responsibility within it. Their profession is heavily unionized. Culturally, they have more in common with bus drivers than business executives. Many come from working-class backgrounds. Cunningham […] said at the group’s annual conference that police have historically been a face of oppression, enforcing laws that ensured legalized discrimination and denial of basic rights. He was not more specific. The ongoing killings of people of color too numerous to name, the killing of Police Officers in Baton Rouge and Dallas, and the occupations of the Fraternal Order of Police by BYP100 and the Movement for Black Lives Matter have escalated calls and action for systematic change. 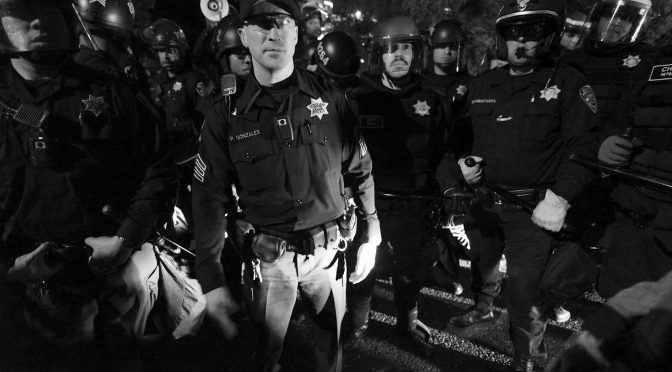 It is urgent that the Labor Movement and our communities confront the complex and interlocking dynamics of law enforcement, unionism, and racial justice. The Murphy Institute aims to bring together academics, activists, students, and practitioners to pose crucial questions concerning the criminal justice system, and the labor movements’ place and responsibility within it. We will host a series of roundtables and discussions, opening with this October 21st forum and culminating with a two-day conference April 28th and 29th. These events are designed to wrestle with the fundamental questions of unionism and solidarity, race and class, with the ultimate goal of finding a real path toward more equitable criminal justice. Carmen Berkeley, is a radical civil & labor rights activist, writer, and trainer who currently serves as the youngest Director for the Civil, Human and Women’s Rights Department at the AFL-CIO. Berkley’s passion training organizers and activists has allowed her to train with Midwest Academy and Wellstone Action, and to serve as a Co-Founder of Can’t Stop, Won’t Stop, LLC. Eugene O’Donnell, Professor at the City University of New York’s John Jay College of Criminal Justice. He was an officer in the New York Police Department, a prosecutor with the district attorneys’ offices in Brooklyn and Queens, and a police academy instructor. Dorian Warren, Fellow at the Roosevelt Institute, an MSNBC Contributor, and Board Chair of the Center for Community Change. He is the former Host and Executive Producer of “Nerding Out” on MSNBC’s digital platform, shift.msnbc.com. Moderated by Ed Ott, Distinguished Lecturer in Labor Studies at the Murphy Institute. He has over 40 years of experience in the labor movement, most recently as Executive Director of the New York City Central Labor Council. The forum is free but registration is required. This article originally was originally published on TalkPoverty.